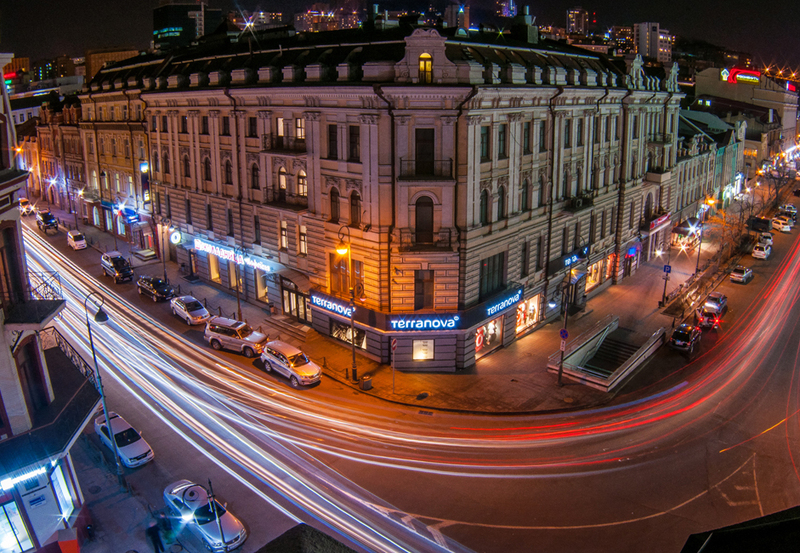 Walking through Vladivostok is like being trapped in a film about time-travel. The city centre, full of steel-and-glass office buildings, has long since yielded to the new millennium, while the outskirts of the city are full of the apartment towers common in the 1990s. In the low-lying areas between the hills are districts made up of shorter, more elegant buildings from the early 20th century.